​ Franz Joseph was the quintessential European monarch of the 19th Century, reigning over the immense Austrian Empire from 1848 until 1916. His 68 year rule exceeded even Queen Victoria's 64 years on the throne of Britain, and each in their own way typified their own national spirit. Franz Joseph was universally recognizable by his mutton chop beard, a hallmark feature he would keep until his death at 86. He was a trained soldier, confidant of generals and monarchs alike, immensely respected by the common folk. While factional squabbles troubled the disparate nationalities of his empire, his patriarchal authority held the empire together. His impact on the course of European and world history was extensive, ans as one of the Three Emperors League with Kaiser Wilhelm and Tsar Nicolas, they shaped the destiny of Europe in the 19th Century. The question of his succession was among the causes of the first World War when his nephew and presumptive heir, Archduke Ferdinand was assassinated in 1914. His younger brother, Maximillian, became Emperor of Mexico in 1864, only to perish there by firing squad in 1867. From the time of the Battle of Vienna in 1683, the Austrians and the Ottomans were old enemies, but by the late 19th century, Austria was ascendant, with many financial interests in the Levant [the Muslim East, from lever, to rise, referring to the direction from which the sun rises] and a financial need for correspondence throughout the region. The Ottoman postal system was unreliable, and the Austrians obtained permission to operate a system of their own. 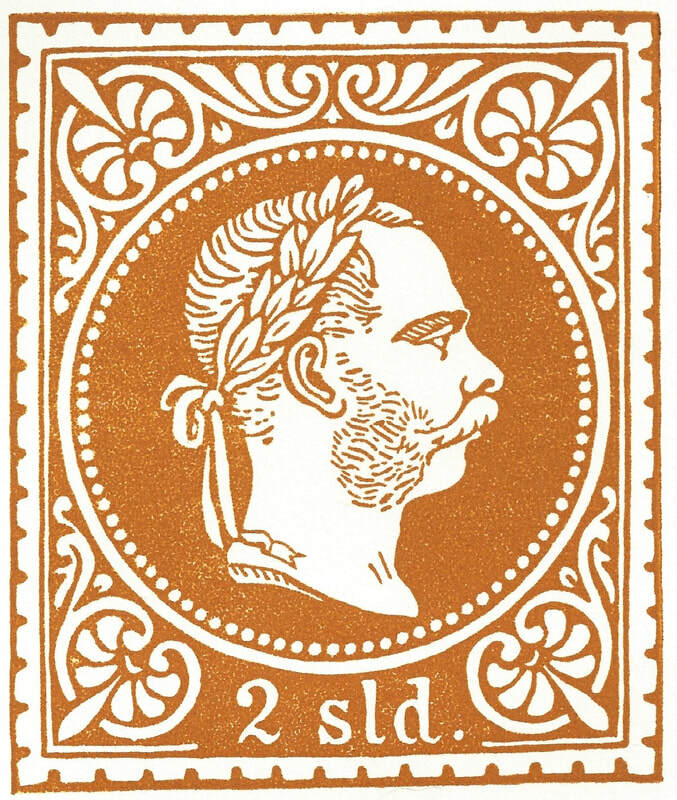 From the 1860's until 1914 when WWI forced a cessation, special Austrian stamps were issued in soldi (sld), a currency from the kingdom of Lombardy-Venetia, a part of the Austrian Empire.